BarraFIT is our answer for students who want a challenging class focused on aerobic exercise and strength training. This class is a Jiu-Jitsu inspired workout that promotes weight loss while increasing your overall fitness for residents throughout Downtown Bellevue, Redmond and North Bellevue. This unique fitness program is designed with the same principles and values we teach in our Gracie Barra Programs training. Due to its versatility and all-encompassing health benefits, BarraFIT is recommended both for those currently practicing Jiu-Jitsu and also those who want to improve their physical well-being. BarraFIT is the perfect addition to your fitness routine because it involves ergonomically safe moves you will need to complete the class. 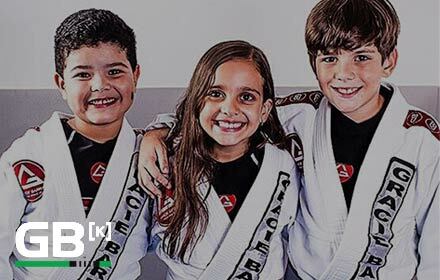 Our instructors at Gracie Barra Bellevue will help students get both the mind and the body in shape so you can achieve more than you ever thought possible. Our fitness classes are a natural addition to Jiu-Jitsu training and will help you build endurance and practice moves that can later be used in self-defense. Lose weight and have fun with a BarraFIT class taught by our certified instructors. Contact Gracie Barra in Bellevue today for a free fitness class and experience all that Gracie Barra has to offer!